Sri Krishna Jayanti, is the birthday of Lord Krishna. On the day of Krishna Jayanthi various Sweets and Crispy savouries like Seedai, Murukku and thattai are prepared and offered to Lord Krishna. 1. Wash rice and drain excess water. 2. In a pan, roast the rice till it turns golden brown. 3. Cool and grind coarsely. 4. Bring milk to boil and once it starts to boil, add cardamom, sugar and coarsely ground rice. 5. Medium the flame and keep stirring till the rice cooks.At this stage, add the ground coconut. 6. Fry cashew and rasin in ghee and add to the payasam. You can replace sugar with jaggery or else, equal quantity of both sugar and jaggery can be added. You can dilute payasam with boiled milk if it is too thick in consistency. This is so delicious! We lived in New Delhi for 5 years and loved this snack. I will try making it when we go back to Sicily. I found you through my friend superyummyfood. Your recipes are fabulous, I'm following you. Hello from Rome! Aha my mouth is watering to taste the tempting payasam. I heart rice payasams and this looks so delicious! 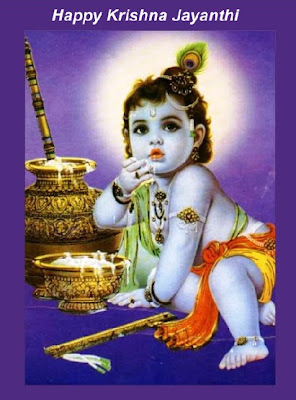 Happy Krishna Jayanthi, Nithu! 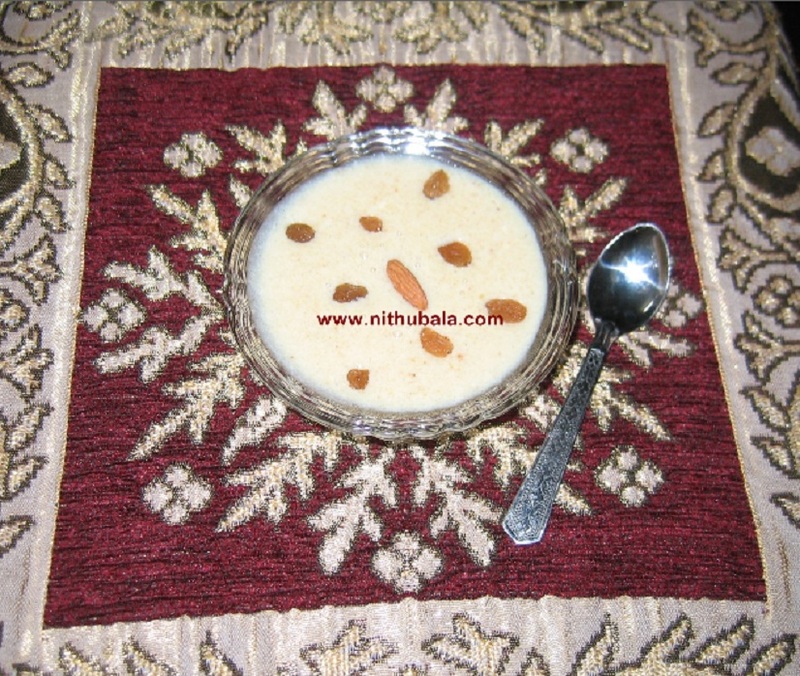 Lovely payasam to celebrate the occasion !!! 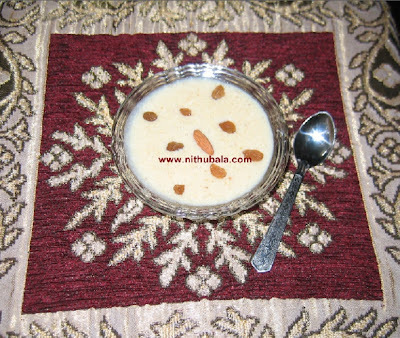 Happy Krishna Jayanthi to u and ur family...Delicious payasam. Creamy & delicious payasam...Happy janmashtami to u n ur fly..
Wow so good hope u had a grt time .. Came across your blog today. Love the recipes in here. Will be a follower now.